Recommended for interiors; residential and commercial. 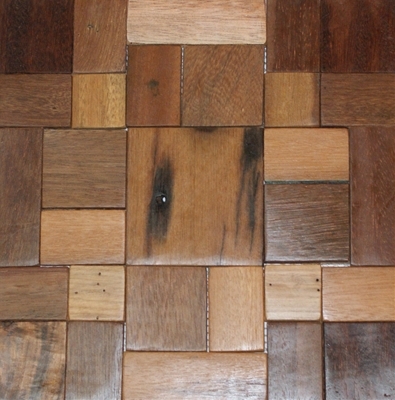 The unique character of the Recycled Boat Wood Series should be taken into account in all installations. This series may not be suitable for all applications. Sq. ft. per sheet: Approx. 1.0 sq. ft.